Most women look for ways to cut their beauty routine. Anyway, there are some beauty-obsessed	girls out there who don’t mind to get up an hour earlier. Even if you prefer a short beauty routine, treat yourself to a full makeover from time to time. Almost always those transformations make us feel special. So, you don’t have to wait for a special occasion to feel special. The next level braids will help you turn heads. These hairstyles aren’t something that you could do in 5 minutes, but they are worth your time. 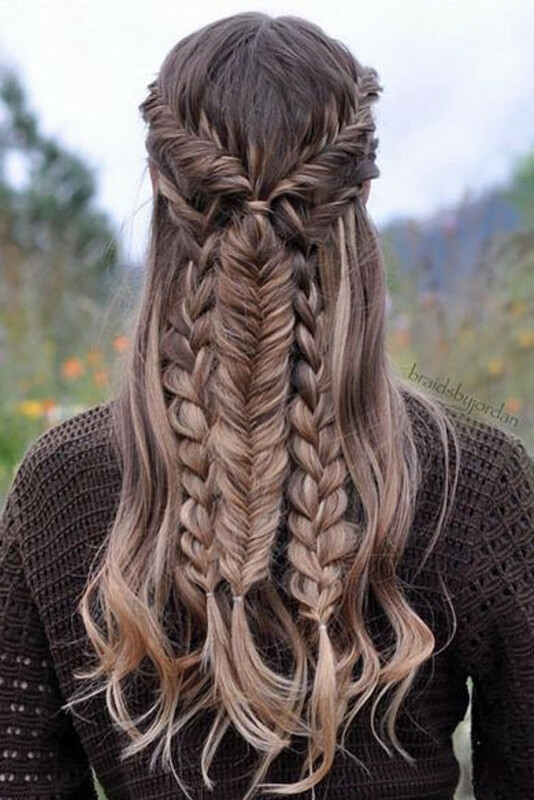 These intricate braids look insanely gorgeous. You will need someone to help you or practice yourself. Luckily there are numberless online tutorials to teach you how to achieve the next level braids. You could opt for elegant braided updo or romantic braided half updo. The braided updos are a great option for business women. Don’t hesitate to upgrade your regular bun with braids. You could also turn your ponytail into a voluminous braid. The braided half updos radiate femininity. These hairstyles will blend seamlessly with boho or casual outfits. Hair is a big thing in women’s lives. We all know the feeling on a bad hair day. So is most certainly better to wake up earlier sometimes then to feel uncomfortable the entire day. After all, the looks and compliments you’ll get will make you forget about the time you have spent on your hair. The intricate braided hairstyles might take more of your time, but you will fall in love with the final result. There is nothing wrong in having a 5-minute beauty routine, but if you want to take things to the next level, get inspired by these intricate braided hairstyles.